Summer is in full swing and as much as I like the warm weather, the humidity can make it tough to do normal activities outside like picking up fruit from the market without ending up in a sweaty mess. To keep me cool and hydrated, I have coconut water and Gatorade in the fridge. I try to make sure I have both available during the week to prevent or treat dizzy spells and to hydrate me on those days at the office when I somehow manage to drink only a thermos full of water. I’ve had the magic bullet for about half a year now and other than an avocado/yogurt/almond milk concoction the day after I bought it, I haven’t used it (Bad! I know, I hate buying things that I really want and then have them collect dust). I’ve been having fruit smoothies for my weekday breakfast for the past few weeks because I wake up and want something easy, quick and cold. I really like it because it’s fast, easy to make (even when I’m groggy), saves me time and money. On the morning this whole thing started, I woke up feeling really hot. I needed to have breakfast and something to cool me down. A quick look in the fridge and freezer resulted in my first smoothie. Luckily, I had frozen bananas in the freezer (which took care of the cold and thick factor – no need for yogurt!). I got into the habit of freezing ripe bananas when I was all crazy about making banana bread (about a year ago). So far, I’ve done the following combinations. I like the thickness of the avocado in the smoothie because it sort of reminds of a thick milk shake. 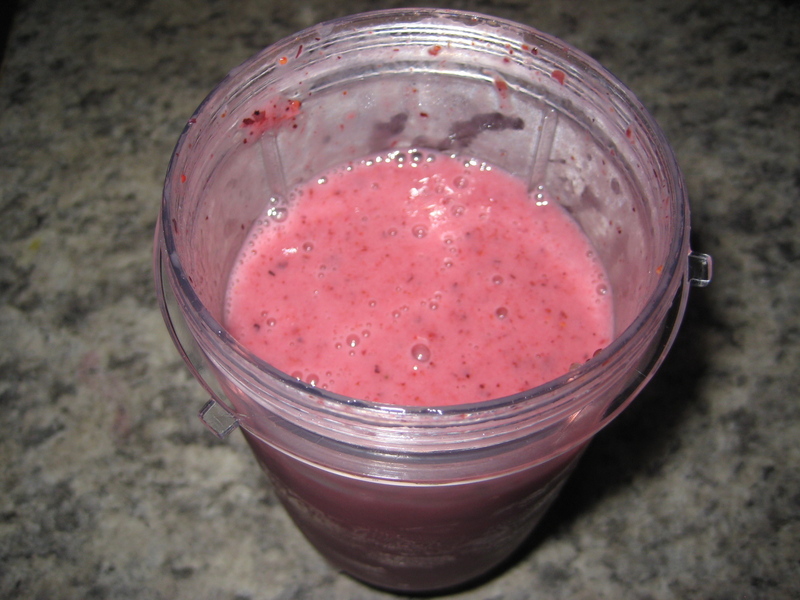 I find that it mellows out the flavours of the berries, which is why I added agave to sweeten it. Any good smoothie ideas? Cold breakfast ideas?